We’re driving better care and lower costs with one-point access to every person’s healthcare record. So individual healthcare consumers can view their own records from home. So healthcare professionals can increase quality of care and patient satisfaction at lower costs. So organizations and agencies can better understand and support the health of our region’s entire population. We are the nonprofit health information exchange (HIE) that serves every provider, every resident and every visitor who accesses healthcare between Canada and New York City, and from Binghamton into Vermont. In real time, we deliver the highest quality patient health data available. 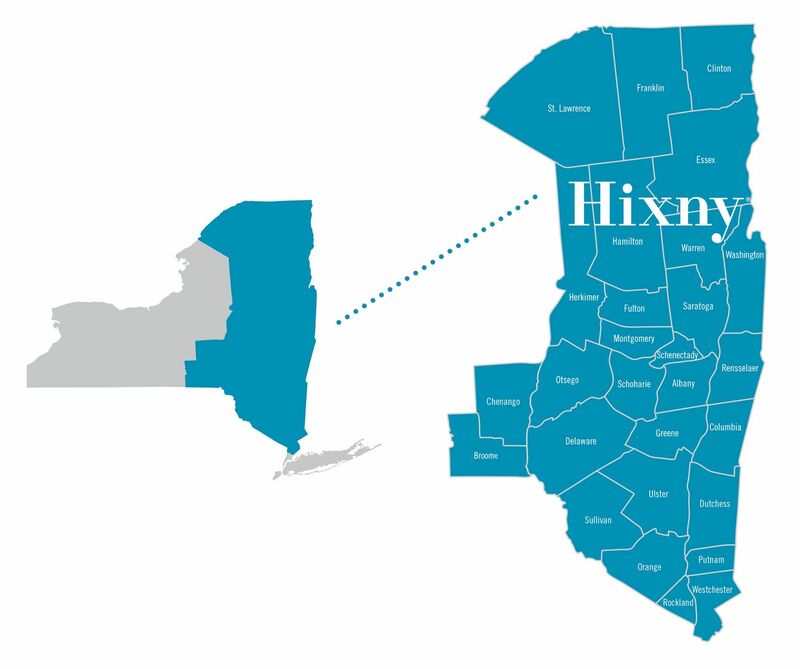 More than 1,700 locations and 6,900 users in our region access their patients’ data via Hixny. Primary care providers, specialists, patients and other healthcare professionals rely on Hixny data to improve patient care every day. Can you find more complete and accurate data? In a word: no. We take data security seriously. Very seriously. Our enterprise-grade systems are protected by the same technologies, protocols and intrusion prevention systems used by the military, law enforcement and leading financial institutions. They are consistently and independently audited, evaluated and enhanced. When it comes to data security, we never rest easy—so you can. Hixny provides flexible customization options to save time and make access easier. Hixny is available online or connected directly to most electronic health records systems—giving you access to the patient data you need, the way you need it. On demand or delivered automatically, customizable filtering options put you in control of data tailored to your specific preferences. Hixny’s value-added analytics and insight solutions help identify trends, improve diagnostic accuracy and provide better care to patients. See how Hixny seamlessly connects you to health records from throughout New York.